← Fishes in the Boston Common? Methane (CH4) is the second most prevalent greenhouse gas emitted in the United. Globally, over 60% of total CH4 emissions come from human activities. Human activities that produce methane are things like natural gas leakages or raising livestock. 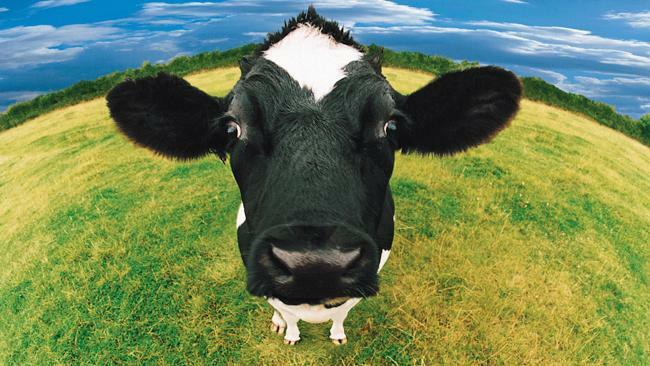 Many animals such as cows, sheep, or camels produce methane on a large scale due to the amount of animals in the world. The methane emissions that are directly from livestock are considered human activities because we are raising them for food. Methane, among other gases are considered to be greenhouse gases because when present in the atmosphere they absorb heat which heats the earth similarly to how a green house keeps its plants warm. Pound for pound, the comparative impact of CH4 on climate change is 25 times greater than CO2 over a 100-year period. This large difference is due to the fact that the bonds in the methane molecule are better at absorbing the long wave radiation that is bouncing off of the earth than the bonds in the CO2 molecules. The radiation absorbed in the bonds of the greenhouse gas molecules heats the earth and may even upset the balance of energy that is coming from the sun that is absorbed by the earth and that which reflects off of the earth due to the albedo effect. If more energy is coming in from the sun than what is being reflected off into space then the earth will begin to get too hot; this can cause climate change. With the amount of methane coming from the butts of the simple cow researchers are investigating the action of modifying cows so they burp and fart less and there for produce less methane. This may not be the best idea because the methane produced by cattle can be harnessed and turned into energy! A farmer named Jerry Jennisson has created a way to partially power his farm, and to put power back into the grid through capturing the methane coming from his cows and using it to power a generator. The methane powers a specially rebuilt Chevy 350 engine. The engine turns a 37 kilowatt generator. Half the electricity created actually goes back into the process of making methane. What if instead of genetically modifying our cows to produce less methane farmers harnessed the power that comes from the cows bottom.